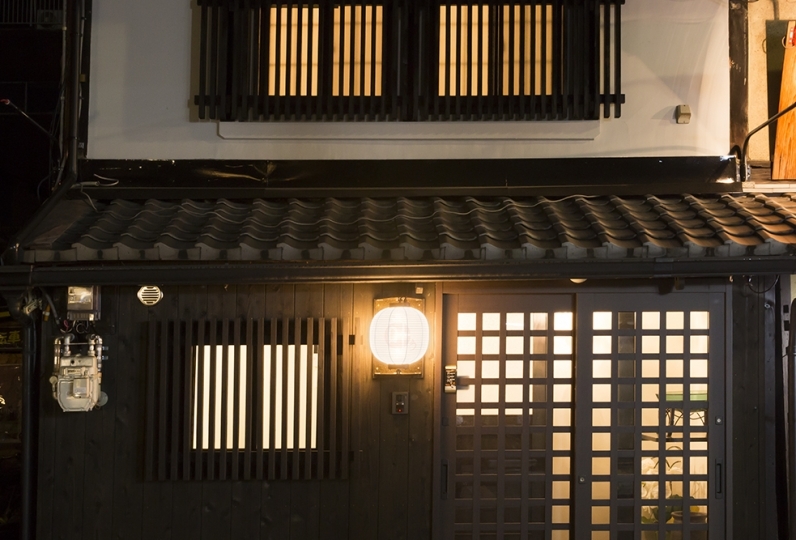 An accommodation as living in Kyoto Gion. 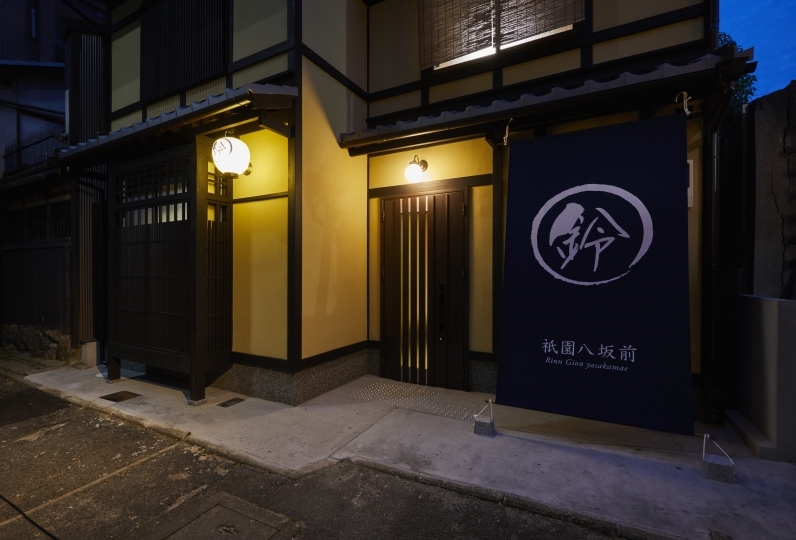 Let's realize your dream stay of Kyoto in "Kyoto Gion Yasakadoyano". In the private chartered house, there are a Western-style room and living room. First of all, lay down on the sofa which was made by Buddhist carpenter to recover from travel fatigue. 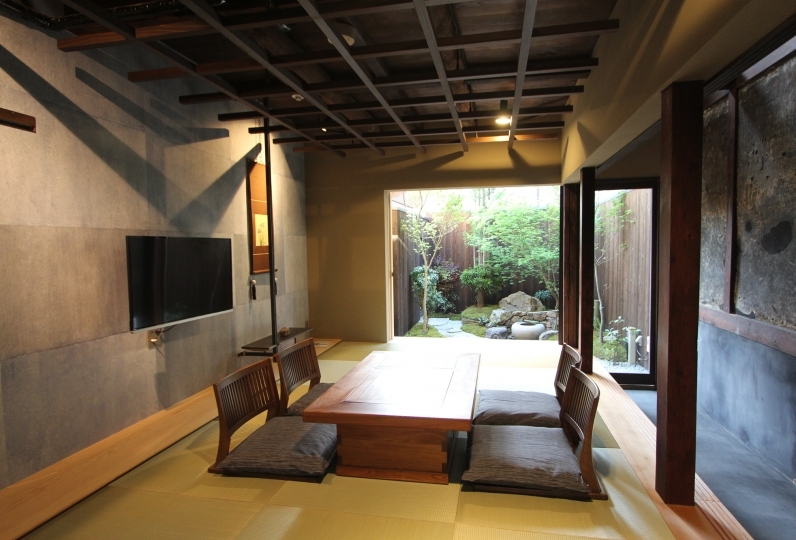 Inside, the Japanese-style room, stay calm with seeing the view of a garden. Maple for fall, spindle tree for spring to make your eyes pleasant. 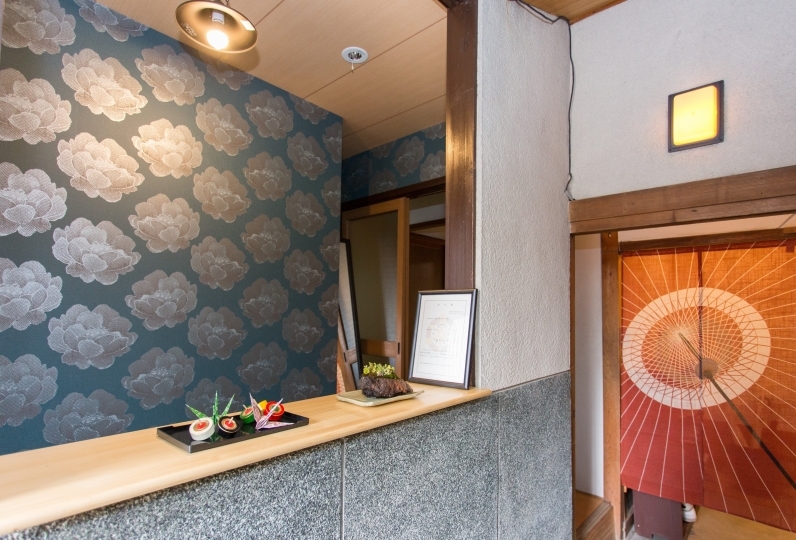 On the 2nd floor, there is a 13.5 Tatami mat sized Japanese-style room. so we recommend to a family or a group. I wanted to go to see the Kyoto Odori in Miyagawa-cho, and I was looking for a hotel in Kyoto, but the usual hotels and other places were full because of the time of the cherry blossoms. During that time, I stayed for the first time after being recommended by someone I knew. It was a quiet Kyomachiya near Yasaka Shrine, Keninji Temple and Kodaiji Temple, although the location is confusing. There are also restaurants and supermarkets nearby, and the facilities are very convenient. 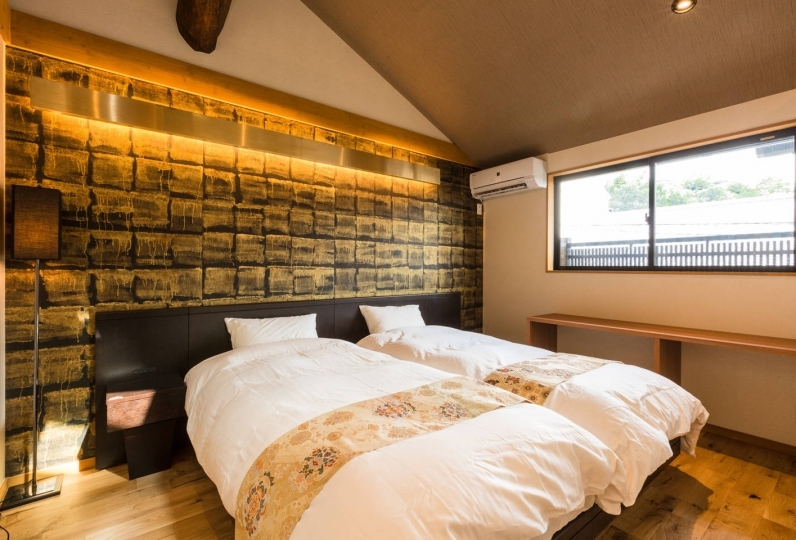 Western living room, Japanese-style living room, bathing room, kitchen, washing machine, large bedroom, large enough to stay with 4 families, children Were also delighted. The interior was fashionable and the heating was good, so I could spend a comfortable time. This time, when there was a problem, I had to go home early in the morning and suddenly I was in trouble, I asked for a clerk type from the civil war, and arranged for a taxi in the early morning the next morning. It was free compared to the hotel, but I thought that the service was low, but I thought that the facilities here could not stay at ease. I want to stay for a long time by all means next time. There is a fragrant Hinoki bathtub in the bathroom. It is able to take a special bath time with seeing the garden in the bathtub. 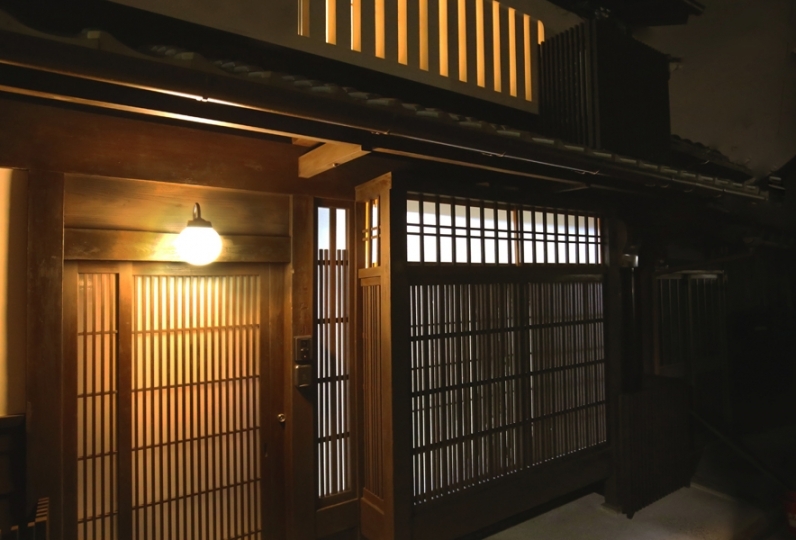 On the 1st floor, there is a Japanese-style room and Western-style room. The living room is comfortable enough with a sofa which was made by Buddhist carpenter. Heating system for the living room is available. 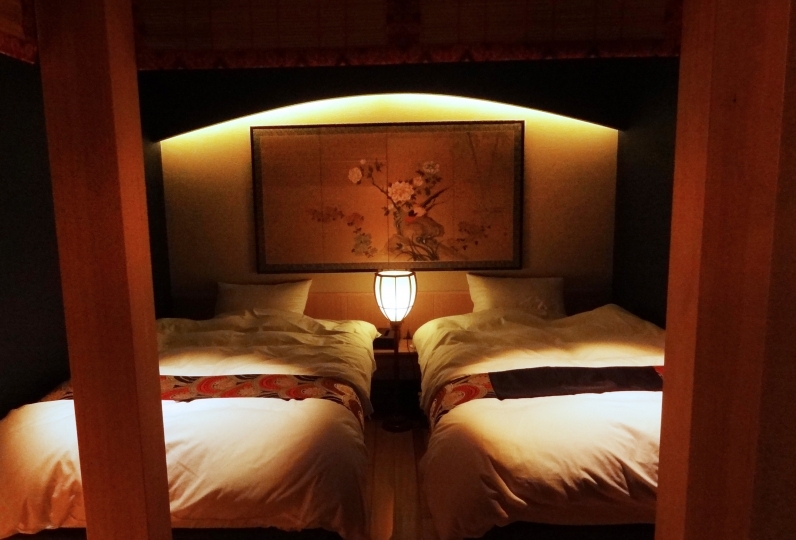 You can stay warmly in the cold Kyoto. 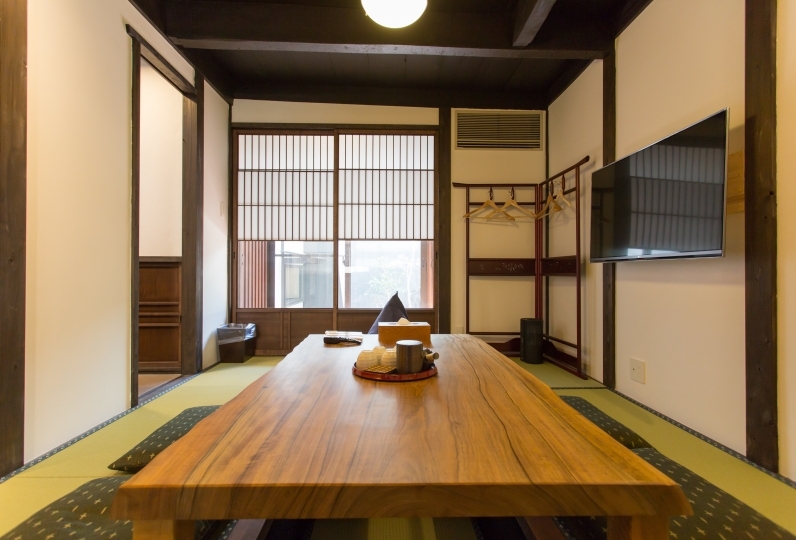 The Japanese-style room is connected to the inside, it is able to stay cozy enough with seeing the garden. 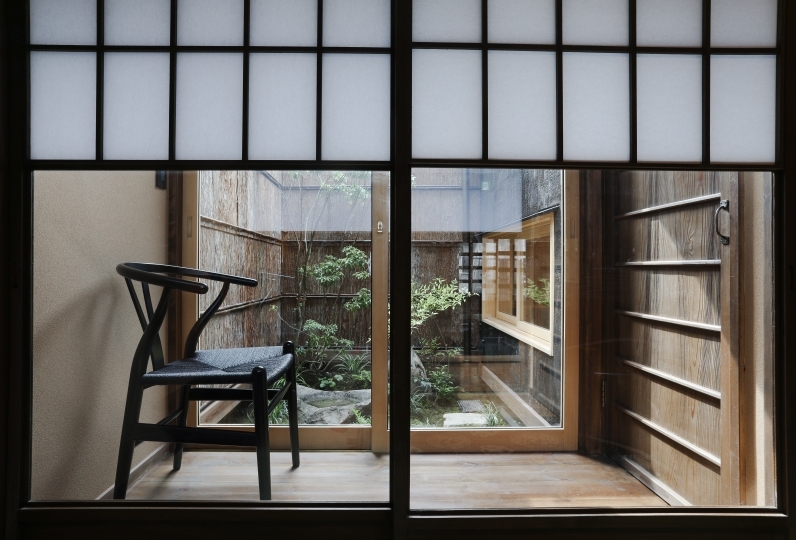 The garden, which is a feature of Kyoto townhouse, is showing the landscape of Kyoto Miyama. Maple for fall, spindle tree for spring, it is a beautiful place to feel the nature. Tiny kitchen and dishes are prepared, please enjoy a cup of tea and smart coffee. 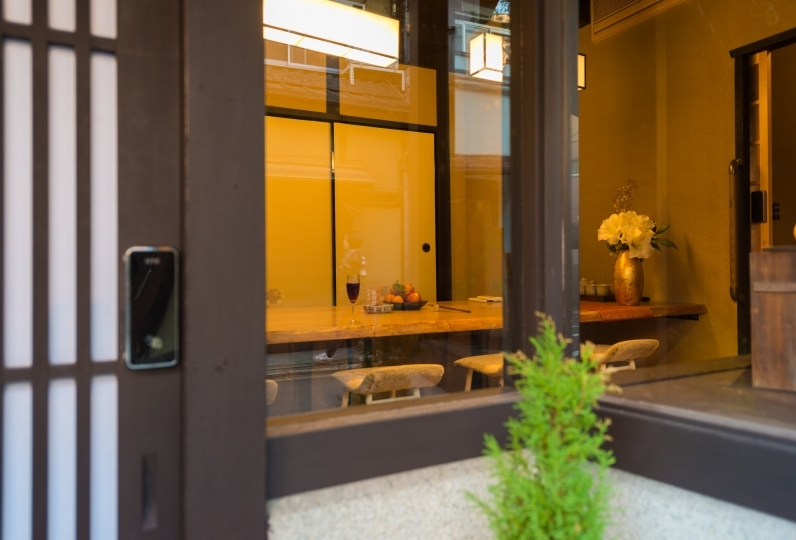 There are many snack shops nearby house, please enjoy mellowing tea time. 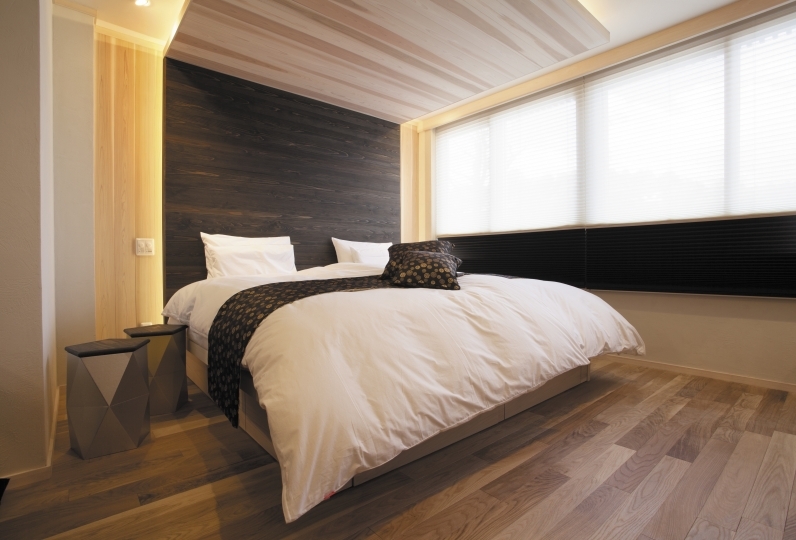 On the 2nd floor, it is a 13.5 Tatamis Japanese-style room, bedding are prepared separately. It is able to stay 6 people in one room, please stay as a group. The house is in the residential area. It is banned to make a party in the house(Food is fine). At night, smoking or talking outside are banned too. Please close the window at night. Please share this information with all of your group. If the neighbor file a civil complaint, we will ask you to check-out immediately. Also, in the case, we don't refund the accommodation fee. We assumed you've agreed at the time you complete your booking. 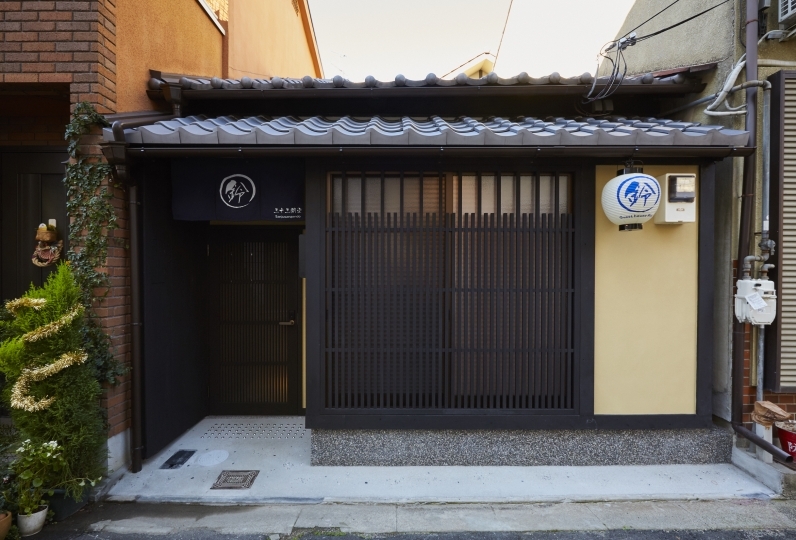 4 minutes walk from Kyoto city bus stop "Higashiyama Yasui"
5 minutes walk from Kyoto city bus stop "Gion"